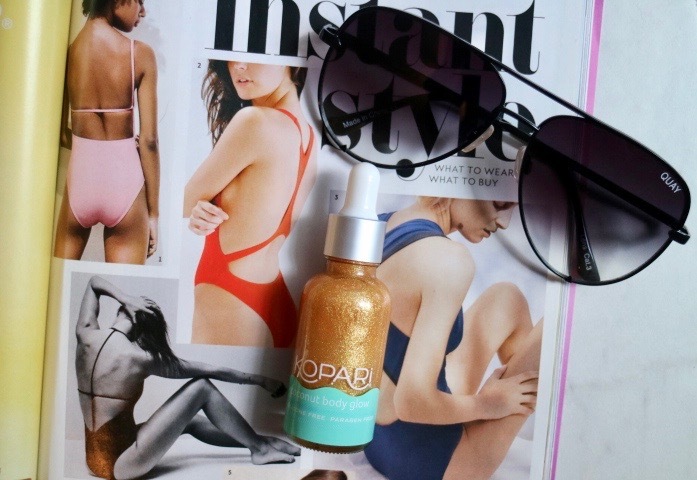 The Coconut Body Glow contains natural pearlescent minerals to illuminate face and body. It hydrates and nourishes your skin but it’s also, lightweight and absorbs fast. It is $42 for a 3.4 oz bottle. (*Mine is not full size, I’m sure this is travel size. 1 oz/ 30 mL) It’s great for your skin if you have dryness, dullness and uneven texture, and have an uneven skin tone. This is from the benefits of Coconut Oil. I have heard the debate of using Coconut Oil for your skin is good for your skin and bad for your skin. They say it can clog your pores and cause breakouts. Most people with acne type skin tend to stay away from coconut oil. Be sure to shake the product before using for the shimmer. Also, watch the temperature of where you keep this. 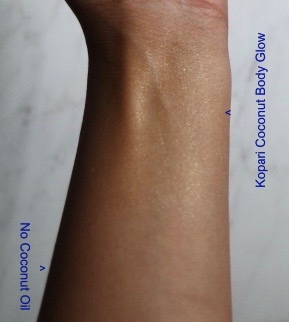 On Kopari’s website out of 236 reviews, the Coconut Body Glow has a 4-star rating. 155 people rated this 5 stars and 17 people rated this 1 star. On Sephora’s website out of 26 reviews, the Coconut Body Glow has a 3 1/2 star rating and 5219 loves. You can purchase this on Kopari.com or on Sephora.com What are your thoughts on using Coconut oil? 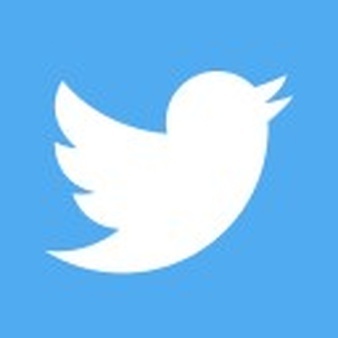 Do you use it or stay far away from it? Previous Post How to Reach Your Goals! These are my new favorite sunglasses! I’m all about the glow! Thanks for sharing this product! I love them! I’m still debating on if I should get the silver on silver ones. I’m interested in trying this in the winter and see how it holds up the few cold days we get in Florida. Thanks for reading! Sounds interesting. I love the effect that it has on your skin! It gives such a nice almost shimmery glow! I can only imagine how great it would look out in the sun! Might have to look into it for myself ! It’s beautiful in the sunlight. Thanks for stopping by!